Two clinical trials are planned in India, which is among the high-burden countries. What is the VPM1002 tuberculosis vaccine? VPM1002, developed at the Max Planck Institute for Infection Biology, Berlin, contains genetically modified mycobacterium bovis bacteria. A built-in gene makes it easier for immune cells to recognise the bacteria — the organism can thus protect itself against the actual infection with dangerous tuberculosis pathogens. Prof Stefan H E Kaufmann, who heads the team that developed the vaccine, told The Indian Express that they have exchanged a gene in the existing BCG vaccine, thus improving its immunogenicity (that is, providing a stronger defence response). “VPM1002 is intended to replace the current BCG vaccine and will be administered to young children to protect them against TB,” he said. The vaccine candidate has been licensed to Vakzine Projekt Management GmbH in Hanover and sub-licensed to Serum Institute India, Pune. Why is a new TB vaccine needed? For more than 90 years, scientists have been working on an improved vaccine against TB. The only one available — Bacillus Calmette-Guerin (BCG) — was developed in the early 20th century. It is the only licensed one, is inexpensive, and requires only one contact with health services. However, standard BCG, while protecting children in most cases against the disease, loses its effectiveness in young people and adults, and has not contributed to reduce the global incidence of TB. Increasing rates of drug-resistant TB now require an effective vaccination strategy. At what stage is the vaccine? The vaccine has been undergoing clinical trials since 2008. The study in Germany included both BCG pre-exposed and unexposed adult volunteers, and the trial ranged over 6 months with a 6-month follow-up period. A similar Phase I trial in South Africa — however, only in BCG pre-exposed adult volunteers — was completed successfully in 2011. Both Phase I studies demonstrated immunogenicity and safety of VPM1002 in adults. In 2013, a Phase IIa trial was completed successfully in South Africa, demonstrating safety and immunogenicity in newborns. A Phase II trial is currently on in South Africa — including 416 newborns from HIV+ and HIV– mothers, with the first baby vaccinated in June 2015. This clinical study primarily aims at defining safety of VPM1002 in HIV-exposed newborns. VPM1002 is under negotiation with regulatory agencies in India for multicentric Phase III trials in adults. The goal of this study is to determine the capacity of VPM1002 to protect against relapse when given after successful completion of drug treatment of TB patients. When will the Phase 3 trials begin? “Based on promising preliminary data of the Phase II trial in newborns with VPM1002, it is tempting to speculate that this vaccine will progress soon into Phase IIb trial to further assess its efficacy. The initiation of this trial will also depend on adequate funding,” Prof Stefan said. Two clinical trials are planned in India, which is among the high-burden countries. A Phase IIb trial in newborns to determine whether the VPM1002 vaccine indeed protects against TB in babies is planned after the completion of the Phase II trial in HIV exposed newborns in SA. A Phase III trial in adults will include individuals who have been infected and cured. The planned infant trial in India will take longer, as the ongoing Phase II trial in South Africa needs to be completed — and this will take another year or so. The trial in India will last between 2 and 4 years. What is the TB situation in India? TB continues to be the No. 1 infectious disease in India, and one of the greatest public health challenges, killing 1 person every 2 minutes and nearly 750 every day. According to WHO’s 20th edition of Global TB Report of 2015, there are 22 high burden countries, and India has the highest burden. Globally, 9.6 million people developed active TB in 2014, out of which 1.5 million died. 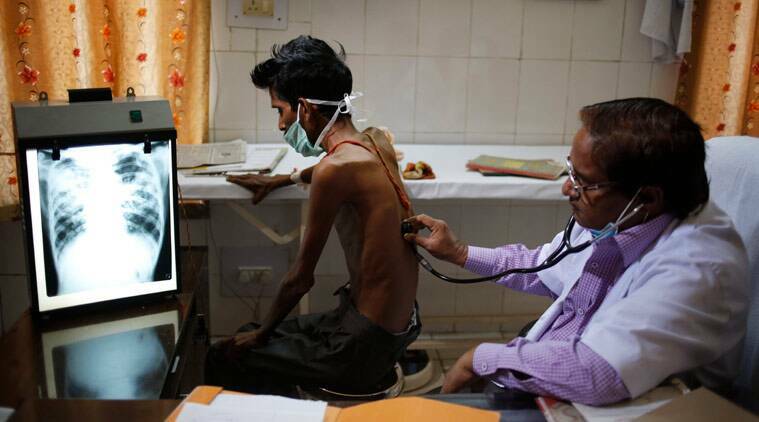 As many as 2.5 million people were living with active TB in India in 2014. Over 70,000 were cases related to multi drug resistant TB (MDR-TB). These cases are resistant to frontline drugs and are costly to treat. The patient profile has been changing; the surging number of cases also reflects the inability to diagnose the problem quickly enough to prevent transmission.